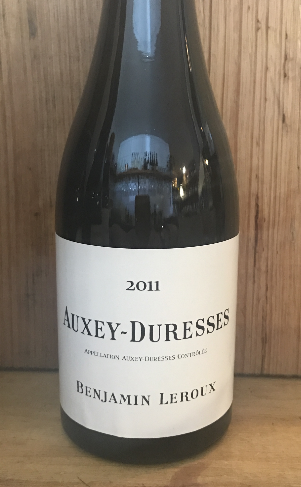 2011 Benjamin Leroux 'Auxey-Duresses' Chardonnay. 375ml. Burgundy-FRANCE. Sandwiched between Saint-Romain & Meursault. Rocky & mineral terroir that shines through on the wine. 10% new wood used.